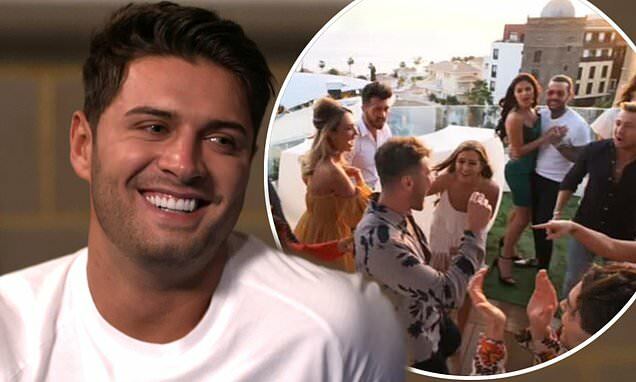 E4 bosses have reportedly decide to cancel the wrap party for the 2019 series of Celebs Go Dating out of respect for Mike Thalassitis, who took his own life earlier this month. Insiders have said the dating show, which Mike appeared on in 2018, feel it would be inappropriate to celebrate so soon after the reality star's passing. Mike's ex girlfriend Megan McKenna appeared in this year's series, while he was also good friends with one of the show's other stars Sam Thompson. Sam and Mike remained friends after growing close during filming for the 2018 series, with Sam joining the show again this year after failing to find love. Mike meanwhile began a seven month romance with TOWIE star Megan after starring in the show last year. Kerry Katona revealed in her new! magazine column that the wrap party, which was due to take place last week, had been delayed in the wake of Mike's death at the age of 26. Mike was honoured during the March 17 finale of Celebs Go Dating, just a day after the 26-year-old’s death was announced, leaving fans in tears. The E4 dating show paid tribute by dedicating the episode to the reality TV star.